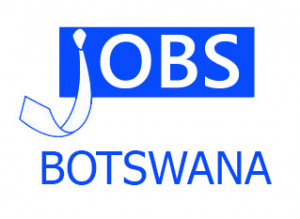 SPEDU is a Company wholly owned by the Government of the Republic of Botswana, under the Ministry of Investment. Trade and industry, whose mandate is to facilitate and coordinate economic development projects and regeneration of tho SPEDU Region The Company promotes inward investment and trade facilitation in the Region in particular. To oversee SPEDU’s internal audit and risk management functions by providing independent, objective assurance and consulting services designed to add value and improve the Company’s operations and ensure good governance and high level of compliance with the Company and statutory requirements The position reports functionally to the Board of Directors and administratively to the Chief Executive Officer. A Bachelor’s Degree in Audit. Risk Management. Accounting or any other related discipline. Associate Membership of Botswana Institute of Chartered Accountants (BlCA) and a recognised international Accounting. Audit and / or Risk body A minimum of seven (7) years post qualification experience, three (3) of which must have been at a supervisory level. Experience working in an Auditing environment will be an added advantage. The successful candidate should have a solid background in audit and risk management; finance; and be able to demonstrate very good international financial reporting, audit and risk management standards. The incumbent should pay attention to detail, should have strong analytical skills and be assertive and committed to work. He/she will also demonstrate superior management and very strong interpersonal relationship skills. Email: recruitment@spedu.co.bw Or hand delivered to. Please note that only shortlisted candidates will be responded to.